March 27, 2019 Twitch’s Squad Streams are now live. Twitch’s official multistream option is now available, at least for members of the partner programme. Squad Streams allow streamers to partner up and show up to four gameplay sessions in a single window. Viewers can then open up a single Twitch page and easily swap between all those streams at their leisure. This was first announced back at TwitchCon last year, and the details are basically the same. Streamers will have an option to invite others to stream alongside them on the dashboard. Up to four people can stream as part of a squad, and Twitch is confident this will be a good option for cooperative streams in titles ranging from PUBG to GTA. If you tune into an individual streamer who’s broadcasting with a squad, you can hit a button to switch to a view that shows the whole team – or you can search for squads directly in the browse view. Once there, you can click any member of the squad to switch focus to them while each of the others plays in a smaller window down below. You’ll see chat for whichever stream you’re currently focused on. 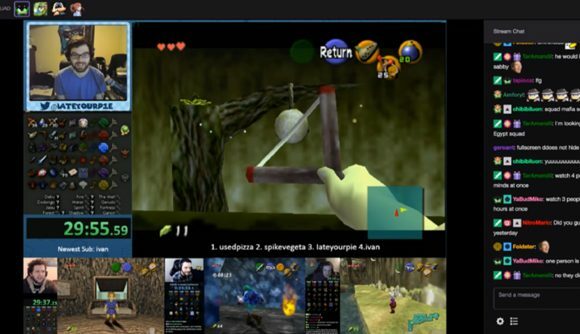 There are already options for viewers if they want to see multiple Twitch streams in one window, thanks to sites like Multitwitch and Multistream. Twitch’s official solution is a bit different, since it puts the choice of building multistreams on the streamers themselves. That also means you won’t be able to use the feature to just quickly swap between unrelated streams of your choosing – you’ll still have to rely on third parties for that. It’s not a fundamentally different way of viewing streams, but it does present some fun new angles on viewing cooperative gameplay – and even competitive things like speedrun races and the like could benefit.